Everyone meet my client-friend, Maureen Carroll! She is 57 years young, a mother and a grandmother! She is also a sister to Eileen Manning and a dear Aunt to Kim Manning and Caitlyn Zeller, previous clients who have already transform their lifestyle with me. 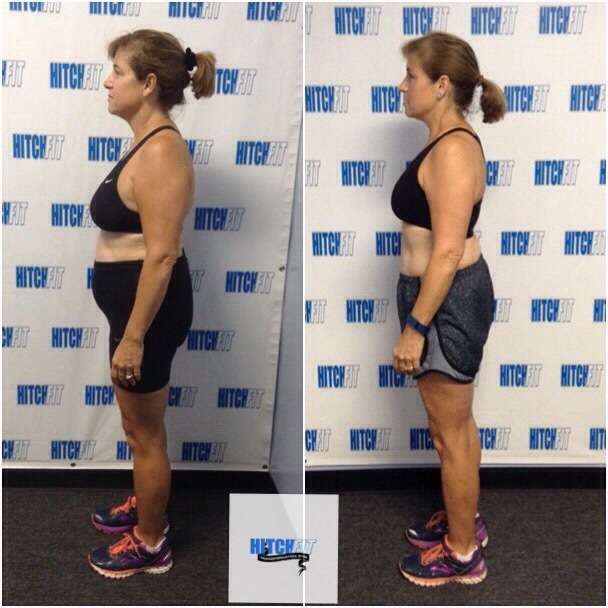 Upon sitting down with Maureen, her ultimate goal was to “tone” her physique and learn the proper nutrition to fuel her body. She wanted to be healthier for not only her children, but her sweet grandchildren, whom keep her very busy. Maureen worked so hard each and every week which was evident by her ever-changing appearance. 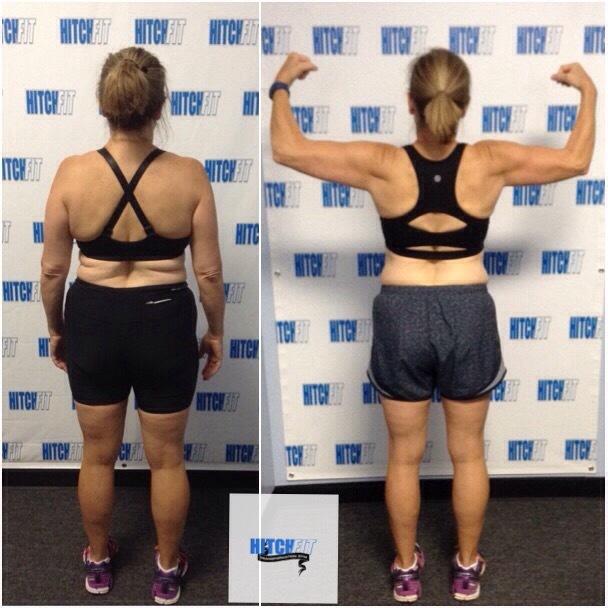 Even with a few health setbacks, Maureen achieved a 22 lb weight loss and decline in body fat by 12%!!! 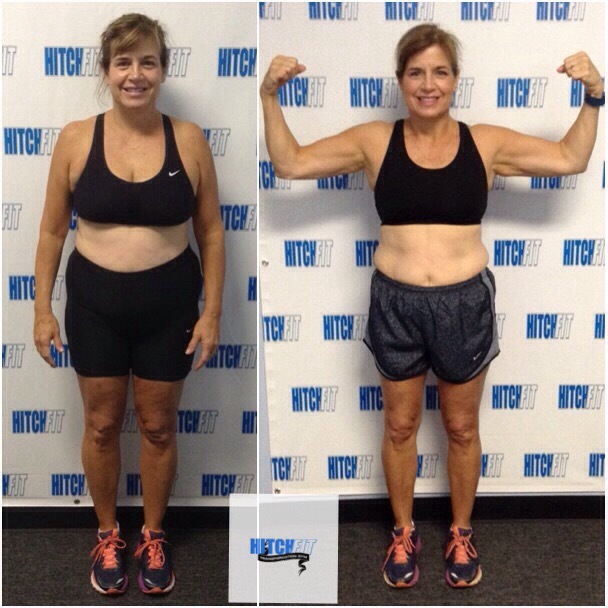 Maureen, we are so proud of you for changing your lifestyle and now maintaining it! Way to be Hitch Fit! “My name is Maureen. I’m a 57 year old mother and grandmother. I started working out with Amy to gain strength and get fit so I could take care of and keep up with my grandchildren! I have always liked to workout, and have worked with other trainers, but as I’ve aged I was losing muscle and gaining weight. Amy taught me how and what to eat to lose weight and gain strength! She taught me how to workout to get the maximum benefit! As a result I lost 25 pounds and lowered my Body Fat by several percentage points! Amy was great to work with! She was very motivating and alway answered all my many questions! The Hitch Fit plan was a little intimidating at first, but I took it a day at a time and soon the inches of fat disappeared!